Training is also essential before you start this business. This helps you know more about the various chemicals you would be handling. It will also help you to know how powerful they are and what they do. You would also need to know what to do in cases of emergency. This also includes how to advise customers and how to manage and maintain equipment. It is not wise to just wake up one day and start operating fumigation equipment with strong chemicals without training. Training will teach you what to do should in case choking incidence occurs or other occupational hazards. 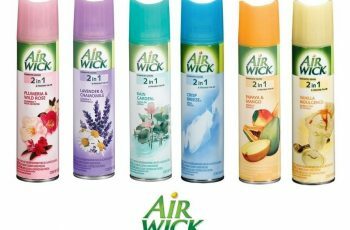 You would also need to understand how the chemicals work and know the exact number of days humans and pets must stay away from sprayed areas using different chemicals. Fumigation is of various categories. Some types are for prevention which entails blocking all possible entry points in the building, cutting off all source of feeding the pests could possibly get and all the foods that attract the pests and help them grow. It has to do with making sure the environment doesn’t breed the pests. Other types of fumigation are baiting, introducing beneficial insects, insecticides, traps, pesticides, etc. 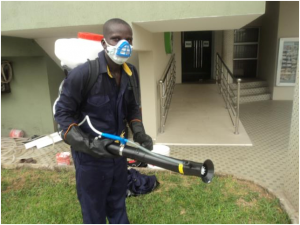 The first step you should take when considering starting your own fumigation business depending on your location is the licensing of the business. You start by registering your company with the Corporate Affairs Commission of Nigeria, CAC. You also need to get the required permission from the authorities in charge, to be a fumigation operator. This comes with a price. You will pay for licensing and you will also be required to pay for liability insurance too. Licensing costs around N20,000 in most states in Nigeria. Also, insurance could cost you from N100000 to N250,000. However, in some states, you do not need to obtain liability insurance to start a fumigation business. A feasibility study of the business and what it entails is also a wise step to take before drawing your business plan. Learn as much as you can about profitability, pricing, pricing strategy and competitors. Having done this, you need to draw up a business plan. This is a very important aspect of any business as it determines the life and survival of the business. As you do this, you would get to know the cost of each material and equipment, what materials are important and how to make a profit working around your target customers. You could consult and hire experts to help you draw your business plan. It is smarter to work closely with whoever you hire. This ensures he understands all your visions and intentions for setting up the business. No one can understand your business goals better than you. You can also download very useful software that would assist you in drawing up your business plan. Budgeting is also very important when you are about to start utilizing your initial capital. A good budget plan helps you spend wisely and help you use your resources efficiently. I am sure you won’t mind keeping some cash you thought you would utilize from the start. You can also hire an expert to help you with budgeting because it must be done properly or you can get online applications to help you get it done. Next to be put in place is the procurement of whatever tools you may need, starting with your truck, power sprayers, vacuums, coveralls, masks and other safety uniforms; as you must dress appropriately for the job and also your various pesticides and chemicals, bait guns, foamers, fogging equipment etc. Prices of materials and equipment vary depending on the products you chose. You would also need to choose your location and whether you are buying new or used equipment. Your truck for example, if you intend to buy a new van, could range from N700,000 to N2m. If you cannot afford that, you could go for a used truck which will be very much cheaper than that. Sprayers should cost around N20,000; foamers should also cost around N18,000 while you can get safety uniforms for around N10,000. You can check around for various prices so you can get to pick which ever works best for you. 7. Marketing: get publicity-It takes your business places. Publicity takes your business places. You need the right medium to take the awareness of your business into the homes of your prospective customers. You could print flyers, posters and handbills, you could also tell people in the neighbourhood by word of mouth, family and friends inclusive. Newspaper adverts would also go a long way if your budget permits. Other ways to get customers are through internet adverts or bulk SMS. Asking for referrals go a long way too. It won’t hurt if you do a couple of free jobs first for friends and families especially those capable of giving you referrals. In conclusion, a fumigation business is a type of business that allows you to work for yourself. However, as the business grows, you will have to employ staff which would require you to get an office space and pay staff salaries, so you should always have a big picture in mind and prepare for it. Pests will always be a problem to tackle, so there will continually be a business for you.